Selling doesn’t start until you ask a question. This may sound counter-intuitive to many sellers. Yet, it’s a hard truth that you can’t sell if you’re doing all the talking. If a buyer wanted a one-sided conversation with you about your product, they’d visit your website. At least there they’d be able to gather the same information without someone blathering at them. In fact, if you’re having a conversation with the buyer, chances are high they’ve already scanned your site. Therefore, if you can’t provide more value to the buyer than your website, how are you helping? Think about it this way. You invest your time and effort to capture a few precious moments of a prospect’s attention. When you breakthrough and get the chance to actually talk with a potential buyer, you immediately launch into your pitch. Instead of leading off the conversation with a question that requires a thoughtful answer. At that point all you’re doing is advertising. Just like a commercial on television. Except without the entertainment value. How many buyers do you know that are prepared to invest their limited time to listen to an advertisement? However, if you start a sales conversation with a question, then you begin to build interest. When you create a spark of interest in the mind of the prospect, it increases their level of engagement with you. That’s when real selling begins. The key is to be prepared to ask your prospect one or more killer questions. 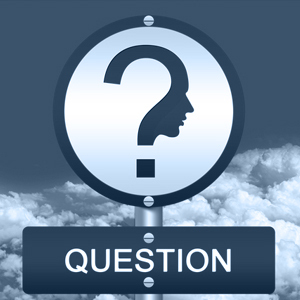 A killer question is one that asks the prospect something about their business that they really should know. But don’t. It forces them to pause. And, think. This is the cool part. When the prospect has to stop and consider their answers. Because buyers are scripted, just like sellers. They have become so conditioned to answering the same set of scripted questions from sales reps that they often are on autopilot. When scripted sellers are having robotic conversations with scripted buyers, it’s little wonder that 50% or more of your pipeline ends up in the “no decision” pile. There is a simple sales behavior I teach that any seller easily can master to transform how they engage the attention of buyers. I call it the “Ask. Don’t Tell” habit. It goes like this. When you begin a first call or a meeting with a prospect, always ask a killer question before you state anything about your product, service or company. Ask. Don’t Tell. The choice is yours. It’s the choice between instantly engaging the attention and energies of the buyer or having them wonder whether you’re wasting their time. How do you want to start your relationship with a prospect?